CASE: 42mm Stainless Steel, lyre lug moonwatch case, acrylic crystal, black tachymeter bezel & sapphire display case back. Limited edition number engraved on the case side. 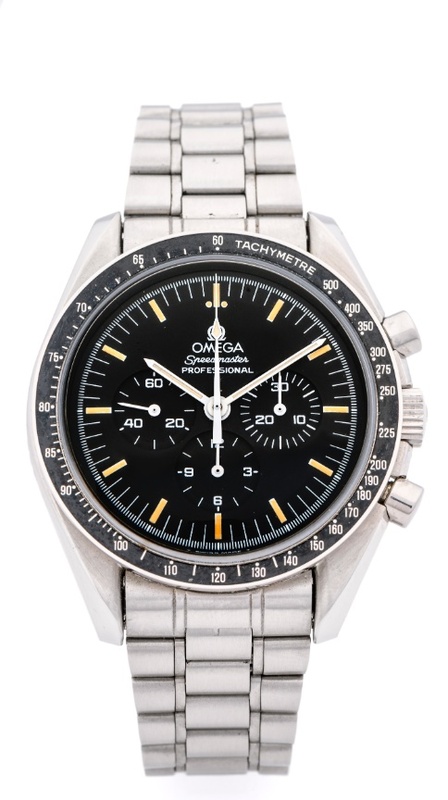 Released in the early 80’s, the 345.0808 was the first Omega stainless steel reference to be fitted with a see-through sapphire display caseback. These models came with a Côte de Genève finishing on the bridges and the caliber designation was 863 instead of 861. The first models were copper color and yellow afterwards. This particular model is a numbered limited edition for the Italian market issued for the 25th anniversary of Apollo XI mission.